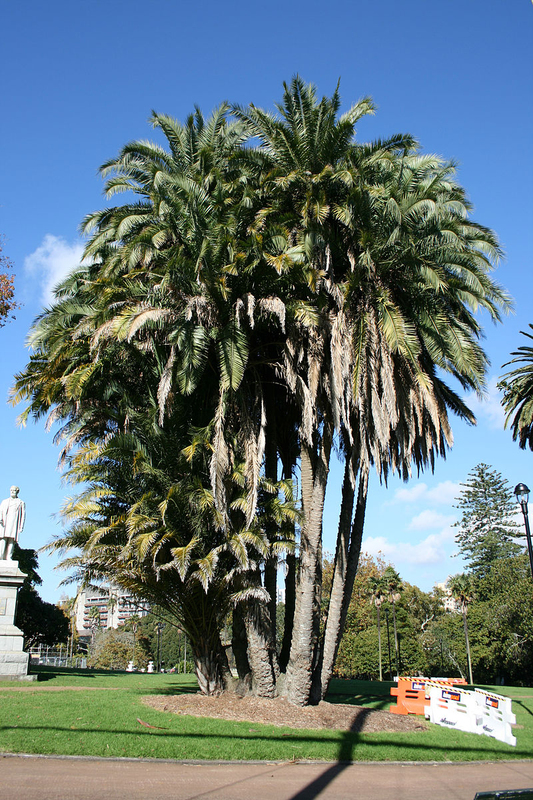 Phoenix reclinata is a dioecious clumping palm, producing multiple stems from 7.5 to 15 m in height and 30 cm in width. Foliage is pinnate and recurved, growing 2.5 to 4.5 m in length and 0.75 m in width. Leaf color is bright to deep green on 30 cm petioles with long, sharp spines at the base, with 20 to 40 leaves per crown. 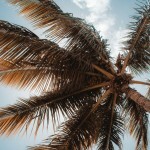 The plants are unisexual and florets appear at the top of the palm stem. Male florets are a dirty, pale yellow and fall off after blooming; females are small, globose and yellow-green. This species grows edible, oblong fruit, orange in color (when ripe), at 2.5 cm in diameter. 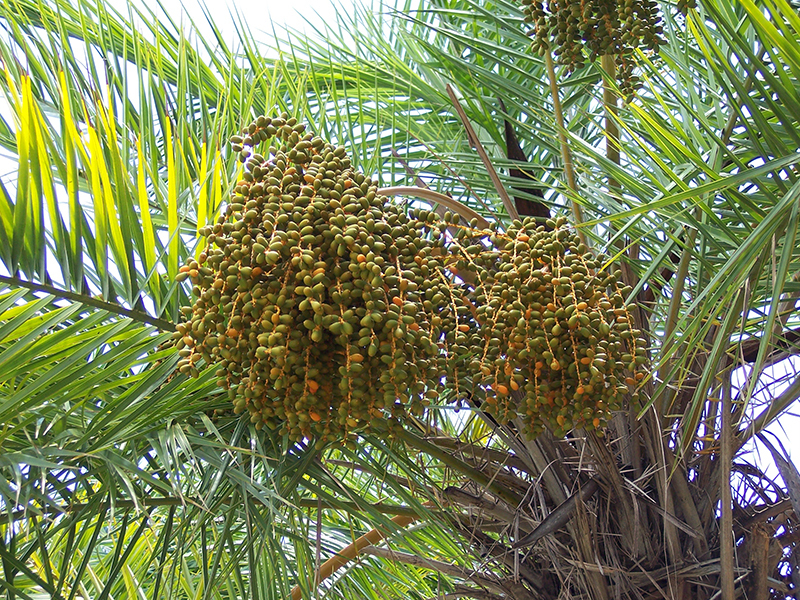 The fruit are borne in large, pendant clusters and contain one seed each. 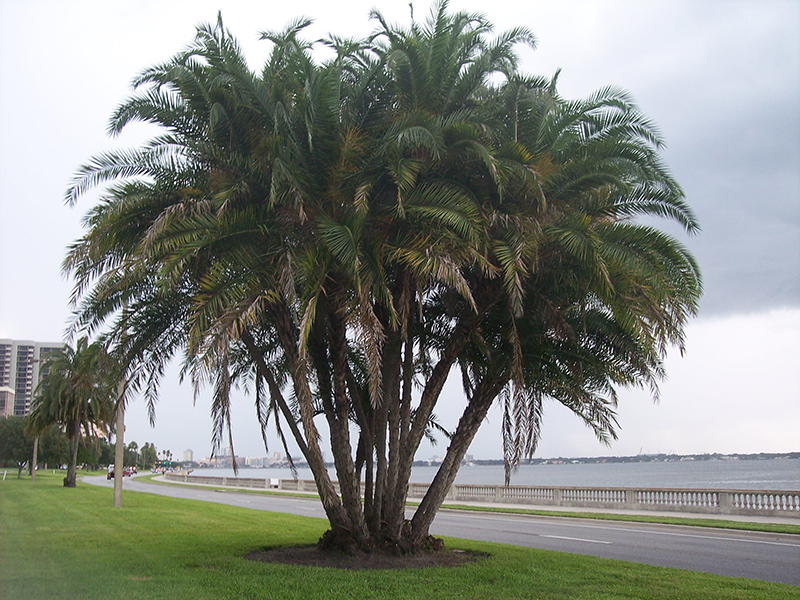 Palms across the Phoenix genus readily hybridize with one another resulting in naturally occurring variations. They usually tolerate salt-spray, and moderate drought where the water table is permanently high. Please contact West Coast Trees for information and availability on Phoenix reclinata.